Securiport, the world leader in passenger biometric recognition, immigration control systems, and civil aviation security will present best practices for airport and border security. 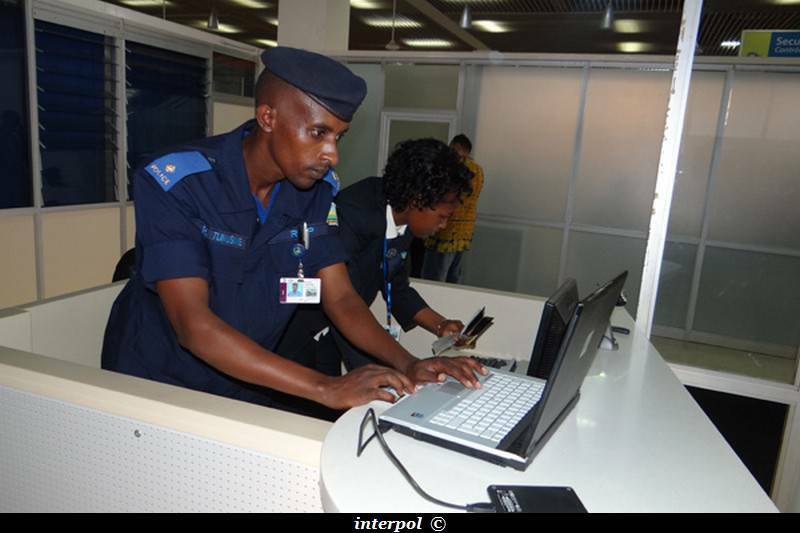 WASHINGTON, Oct. 27, 2015 /PRNewswire-iReach/ -- Securiport, the world leader in passenger biometric recognition, immigration control systems, and civil aviation security, is proudly supporting and exhibiting for the 3rd consecutive year at the INTERPOL annual General Assembly taking place this November in Kigali, Rwanda. The 2015 assembly will celebrate over 100 years of International police cooperation and bring together justice, security and home affairs ministers from member countries all over the world. This year's General Assembly theme is "INTERPOL 2020: Policing global threats in a dynamic environment." Police chiefs and other senior law enforcement officials from around the world will gather at the event to discuss a wide range of policing and security issues including foreign terrorist fighters, border security, cybercrime, drug trafficking, corruption and asset recovery. 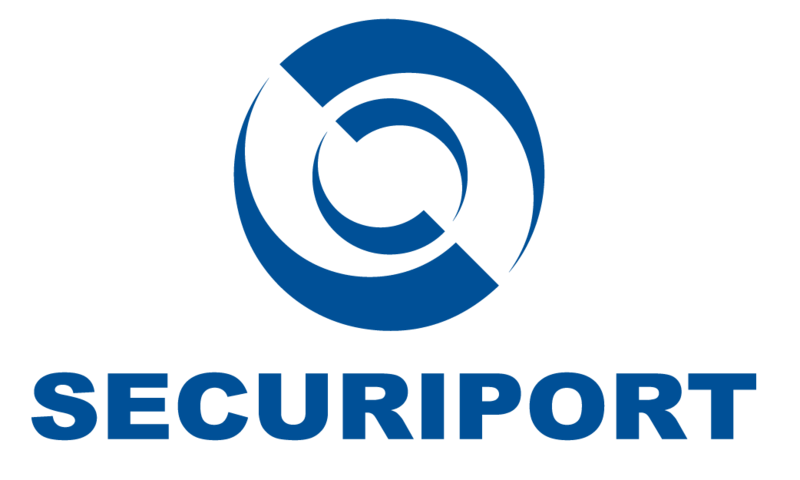 Securiport LLC is a global leader in the design and implementation of passenger biometric recognition, immigration processing, and intelligent information management and reporting software systems for the identification of potential security risks and criminal activity, and the prevention of the international spread of disease. With headquarters in Washington, DC, USA, Securiport partners with governments around the world. Learn more at www.Securiport.com. A group of 240 officer cadets attending the seventh cadet intake at the Police Training School in Gishari, Rwamagana District, visited Kigali International Airport, yesterday, and interacted with several officials on how safety and security is maximised at the airport. The Cadets were received by the airport commander, Chief Superintendent Desire Gumira, who took them on a guided tour of the airport and it's security systems. They also examined how migration, customs, cargo checking, and other security services interlink and work closely to ensure safety for the airport. CSP Gumira told the cadet officers that airport security is paramount for any country. "Rwanda National Police has a duty to guarantee security at the airport, well knowing that it is a busy area with very many people moving in and out of the country, including foreigners. 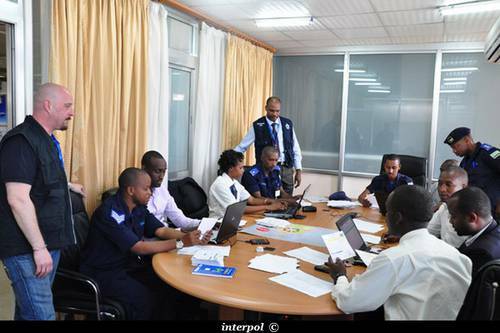 Police and Immigration officers prepare for the international police operation at Kigali International Airport, with support from colleagues from the Rwanda INTERPOL National Central Bureau, INTERPOL’s Regional Bureau in Kenya and the General Secretariat headquarters. 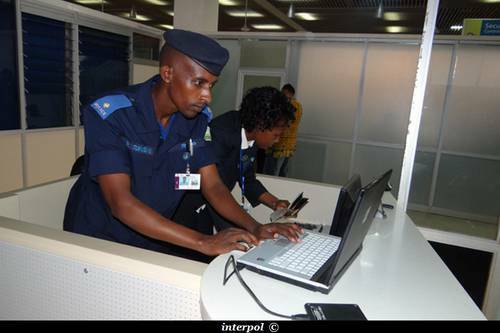 During the two-day operation, traveller’s passports were systematically checked by Rwandan immigration officers against INTERPOL’s SLTD database which contains some 37 million documents from 166 countries. Name checks against INTERPOL’s global databases during the operation resulted in a number of secondary inspections which are being followed up by Rwanda law enforcement authorities. To combat the terrorism threat effectively, it's important that authorities work together. 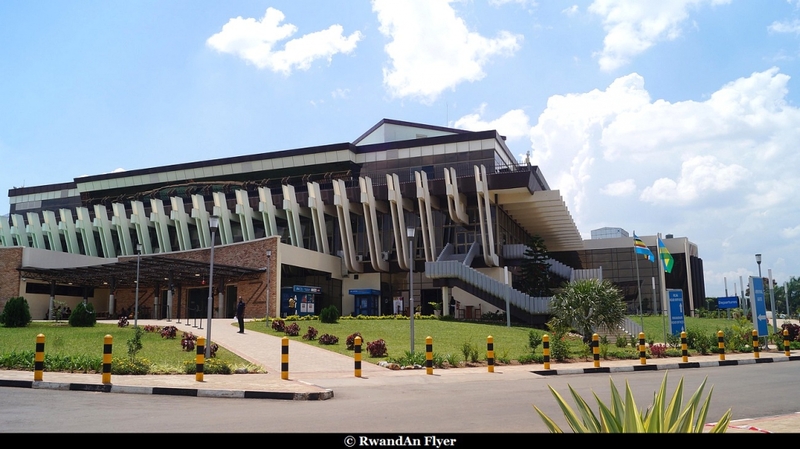 On 04 June 2013, Rwanda National Police and Rwanda Civil Aviation Authority completed a two month Aviation Security Course. On its website, the Rwanda National Police explains, what is about. One hundred twenty seven Police officers completed a two-month Basic Aviation Security Course yesterday at Rwanda National Police headquarters in Kacyiru. The training was conducted by Rwanda National Police in conjunction with Rwanda Civil Aviation Authority (RCAA). The main aim of the course was to equip airport Unit police officers with the necessary skills to improve airport security. During the two-month training, participants were given lectures in theory and practical subjects on international civil aviation, working at the airport, access control, recognition of explosive devices and other restricted items, area search procedures, patrolling and guarding, screening, searching passengers and their luggage, conventional x-ray and protection of aircraft on ground. Speaking on behalf of the course participants, Chief Inspector of Police (CIP) Claudian Rutikara thanked the Rwanda National Police and Rwanda Civil Aviation Authority for organising the course, saying that it was significant for the growing aviation industry in Rwanda where security is a pre requisite. 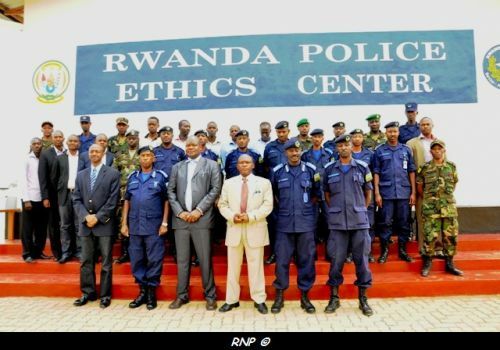 26 members of the Rwanda National Police, Rwanda Defense Force as well staff from the Civil Aviation completed this week, a five day training. This goal of this training was to the 26 members, to get more skills to maintain security at the airport. The training was conducted by the Rwanda Civil Aviation Authority, in cooperation with Rwanda National Police and the International Civil Aviation Organization (ICAO), the UN's aviation division. The ICAO has provided experts for the training. The Deputy Inspector General of Police (DIGP) Stanley Nsabimana appreciated the continued cooperation between ICAO and Rwanda and lauded the RCAA for organizing the training. 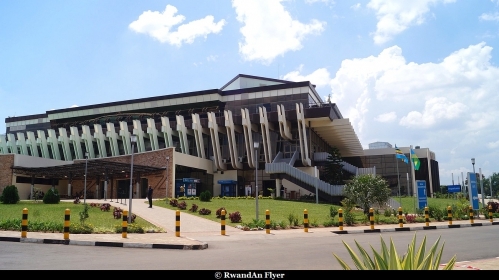 As a result of an audit published by the ICAO in 2007, Rwanda has made many reforms, carried many emergencies exersices and organized training sessions to upgrade its aviation standards.